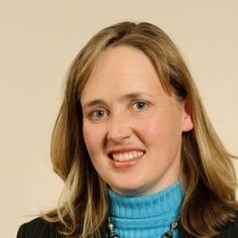 Dr Clare Cutland is the Deputy Director at the Respiratory and Meningeal Pathogens Research Unit (RMPRU) based at Chris Hani Baragwanath Academic Hospital (CHBAH), Soweto, South Africa. She qualified with a Bachelor in Science (B.Sc.) in 1993 and Bachelor of Medicine and Surgery (MBBCh) in 1997 from The University of the Witwatersrand (Wits), Johannesburg, South Africa. In July 2000, after completing a Diploma in Child Health (DCH), she joined RMPRU as a full time research doctor, under Professor Shabir Madhi. She has been a sub-investigator/ senior doctor on numerous phase I, II and III paediatric vaccine trials and principal investigator on a phase II paediatric measles vaccine trial and a phase III quadrivalent influenza vaccine trial in children. She was lead trialist on a grant-funded trial to assess the efficacy of chlorhexidine maternal vaginal and newborn skin wipes on reducing neonatal sepsis and vertical transmission of significant pathogens, especially Streptococcus agalactiae from mother to infant (2004-2008). The results of this trial were published in The Lancet in 2009. During this period, she also conducted surveillance of pathogens associated with-, and the impact of maternal HIV infection on sepsis in young infants admitted to CHBAH. She is completing a PhD on aetiology and prevention of sepsis in young infants. The increasing proportion of under-5 year deaths which occur during the neonatal period has encouraged investigation of immunization of pregnant women to protect their newborns. Dr. Cutland was the clinical lead for the grant-funded maternal seasonal influenza immunization studies which were conducted between 2010 and 2013, including being principal investigator on one of the five trials. She continues to lead large grant-funded studies on sepsis in young infants and maternal immunization. Her current responsibilities include planning, implementation and management of clinical vaccine and epidemiological trials, mainly in paediatric and maternal participants, and preparation of research outputs from completed trials. She has presented at local and international courses and conferences, and is contributing the World Health Organization and Brighton Collaboration activities on maternal immunization. She is author or co-author on 40 peer-reviewed journal articles. She has been awarded the Wits Faculty of Health Science Prize for research (best article) in 2009 and has been recognized as an emerging researcher by Wits.